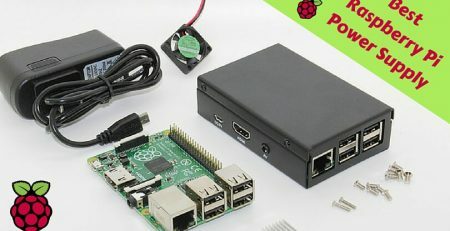 Got your new Raspberry Pi? Excited to start using your Linux-based credit-card sized mini-computer? Excellent. Like everything that we love, your Raspberry Pi will need a little added protection in the form of a case. How else will you be able to take it anywhere you like and use it for your projects without worrying? We don’t know. 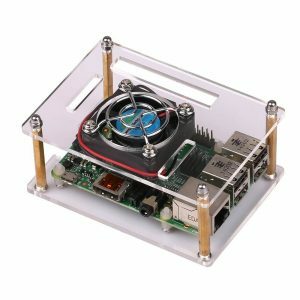 The SB Components case for Raspberry Pi 3 is probably our best find in this category. Rated among the best users on Amazon and Amazon itself, this case has numerous distinguished features including the fact that it allows seamless access to all ports without having to be fiddled with. It is a clear, transparent case. 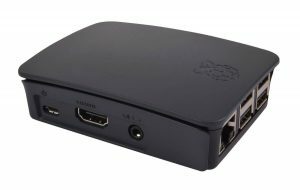 The brand calls the case a “no-nonsense” case because it is neatly designed and has a very specific use – to protect Raspberry Pi 3 Model B. Thus, if you have this particular Raspberry Pi, you can blindly buy it. It has a snap-function and it closes comfortably around the Raspberry Pi thanks to its two-piece injection-molded ABS. This is only a case and Raspberry Pi 3 itself is not included. You do not need a fan when you use this case. There are vents that take care of any and all heat issues. 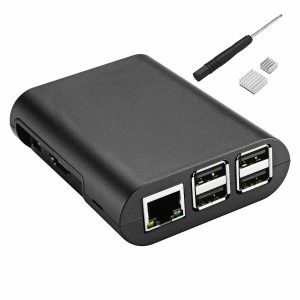 You can also use this for Raspberry Pi 2. It does not need any mounting. It fits snugly and stays there even without screws or any additional equipment. All the slots are correctly located on the case. It is quite scratch resistant. 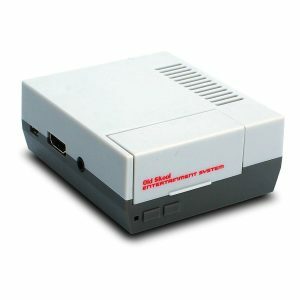 If you have grown up or are growing with Nintendo, then you will see that this NES case has the same charm with it. With the plastic material and solid structure, this protective unit from Old Skool Tools is a lightweight, convenient and durable Raspberry Pi 2 Case. This black colored enclosure from OneNineDesign is dedicated to the Raspberry Pi 3 circuit board. You can also use it for the other Pi versions by opening the side LID openings aligned with the display connector as per your convenience. 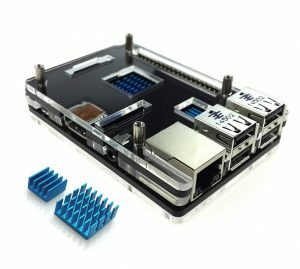 I will like to suggest you not to buy this case if you have the previous models of Raspberry Pi like A, A+, and original B versions. 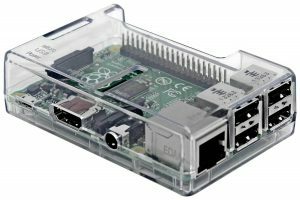 This protective case from Enokay is compatible with the older Raspberry Pi models like Pi 2 model B and Pi 3 model B, as well as with their newer versions like B+. You will get a protective case, one screwdriver, and a couple of heatsinks for the price. Nowadays, cases not only protect your board from the damage, but they do provide some cooling features to prevent overheating too. This transparent acrylic enclosure from JBtek comes with an external fan to cool down your processor when you overclock it or use it for a longer time. You may find this case a little but costly than the other protective enclosures in the market today, but with its seamless routing of the ports and perfect fit to the board will never let you regret if you buy it. 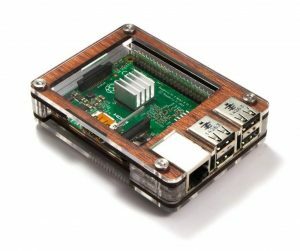 The Eleduino enclosure is a transparent protective case that specifically designed for the Raspberry Pi 3. Protection: If you use your Pi board in an open area, you know dust, debris, and other micro particles will stick on your circuit. Also, there is a fear of any accidental damage due to drop or moisture. A good-quality case will protect your Pi circuit from any such harm and helps to make it more durable. Looks: It is not an important feature which increases the functionality or features of the Pi, but a case can surely add some aesthetics to your device. 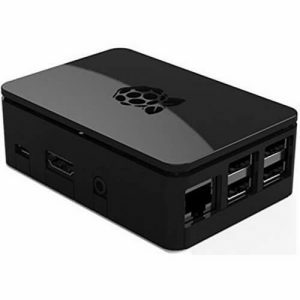 Means think of a Pi powered media center you are using and how it will look if you just leave it open? A good Pi case will provide a stylish look to your Raspberry Pi Kit. Convenience: Using a case doesn’t mean you have to compromise of accessing the ports of your device. A good-quality Raspberry Pi case will provide you full access to all of your Pi ports. Also, it makes it easier to take your Pi set up anywhere you go by carrying in your bag without worrying about any harm from other things. Until the date, Raspberry Pi has shipped over 12-Million units of different Pi models. And for such a high number of devices, the good-quality Raspberry Pi cases are essential and sometimes must things to have. Here I have included both types of cases i.e. with and without fans. We tried all the above cases and if you asked us to pick, we would definitely go with the SB Components Raspberry Pi 3 Transparent Case. This is mainly because it is easy to use, protective, and reliable. It is also quite affordable. Do you have any other choices that you think could make the list? We would love to know! 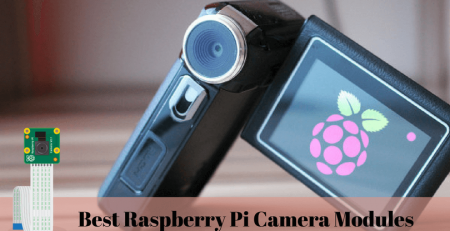 As you may know well that the Raspberry Pi is widely used in the educational institutes to provide easy and in-depth learning of electronic kits and projects. It creates wonders with the programming clubs like CoderDojo which are the global platforms for the kids and teenagers to learn from the experts and make some innovative designs. 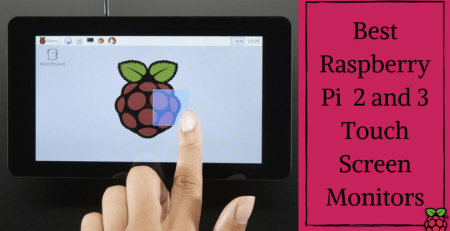 Recently, on June 29th, Raspberry Pi was awarded as the best innovative technology in the UK and won MacRobert 2017 award and a cash prize of £50,000. It is one of the famous and prestigious Engineering awards in the world.